A cricket autobiography unlike any other; a universal story about how love for your family trumps everything. Specialist Australian wicket-keepers who have worn the baggy green are a rare and tough breed. By the time Brad Haddin declared time on his career, the stats would put him alongside the greats of the modern era. But it was no easy road into the record books. A seasoned Haddin had to wait for Adam Gilchrist's retirement to make his Test debut at the age of 30. 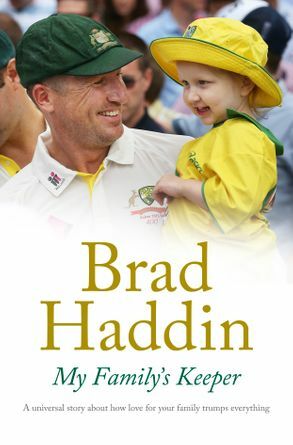 And, just four years into sport's toughest job, while on tour in the West Indies, Haddin received a call that changed everything: his pregnant wife, Karina, told him that their younger child, 16-month-old Mia, had a rare and aggressive form of cancer. Immediately relinquishing his hard-won cricket role, he flew across the globe to be with his family. Swapping the patient hours behind the wicket for the emotional rollercoaster of Mia's cancer treatment, Brad put everything else on hold as, over the next hellish 18 months, his daughter fought for her life. 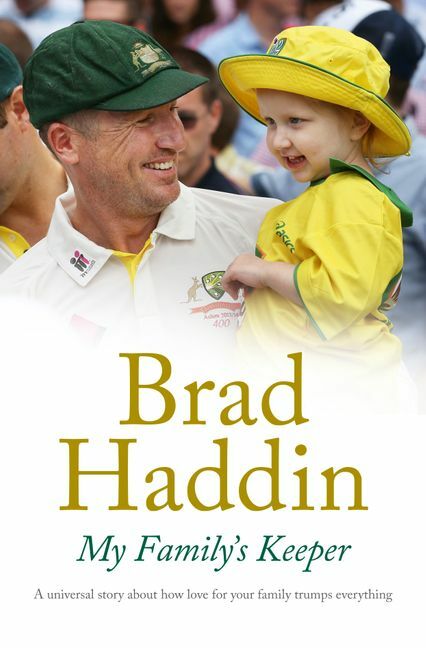 Only when Mia started to respond to treatment did Brad seek to return to international cricket. He did so in spectacular fashion: named vice-captain, he helped Australia rebuild so strongly it was able to carry off a fairy-tale 5-0 Ashes victory on home soil. The 400th player to don the baggy green, BRAD HADDIN represented Australia in all forms of international cricket. He was a member of the Australian World Cup-winning squad in 2015. Haddin also led the Sydney Sixers through the first four seasons of the Big Bash League. KARINA HADDIN is a qualified radiographer who is passionate about raising awareness and vital funds for research into Neuroblastoma. As part of the 2014 Run2Cure Neuroblastoma fundraiser the Haddins' Team Mia personally raised $30,000 and with the support of the NSW Blues the overall total raised for neuroblastoma research was $220,000.